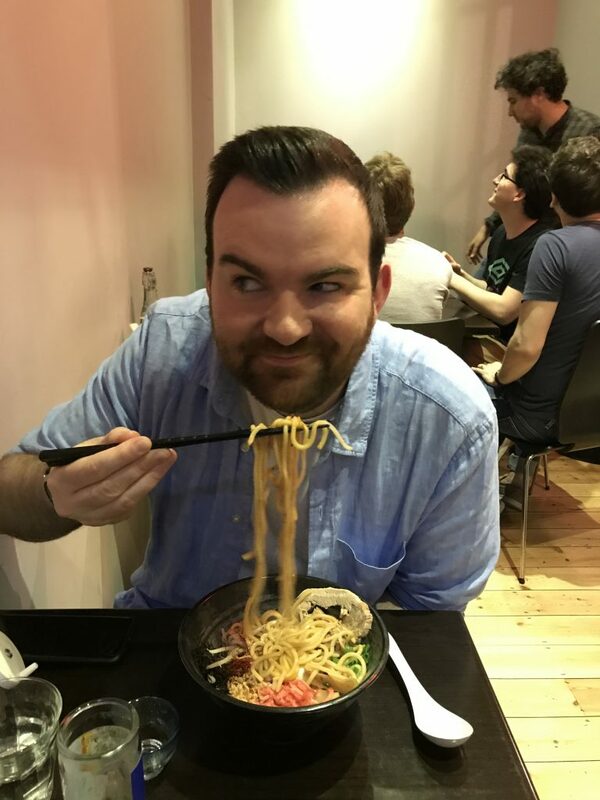 Six months in to my ramen resolution I’m averaging one new restaurant per month, which, frankly, is rather less than I had hoped for when I set myself this goal way back in January. Mohohon translates from Japanese as “The Real Thing”, a very apt name for the ramen that we tried out last weekend, which are up there with some of the best I’ve had. I’d spent the day drinking incredible cocktails at The Alchemist near Liverpool Street but didn’t have dinner plans. A split second later, we leapt into the back of taxi and headed to Old Street, placing our faith in Google that there was a ramen place somewhere near Old Street. From the outside Monohon reminded me of Okan in Brixton. Small frontage, slightly steamy windows and a prominent and vibrant kitchen on the left hand side. However, the menu was like nowhere we have eaten before. Even in actual Japan (although that could be because of my rudimentary Japanese). The choice was limited to just four dishes; two soupy ramen, and two soup-less. Not even a starter in sight! I was apprehensive about no soup, but decided that it was worth the gamble. Having enjoyed the Dracula ramen from Shoryu, I chose the Taiwan Maze Soba, which promised ‘spicy garlic’, but I swapped my poached egg for the more traditional soft boiled egg. You can see the insane amount of crushed raw garlic that was served! Meanwhile Adam, lover of the slow cooked pork, opted for the Aruba Soba, also sans soup, although his was a bit wetter than mine! I have no idea what he was looking at…maybe the same thing as the guy in the background! Oh. My. Days. The made in-house noodles were delicious (apparently they’re boiled in spring water rather than London tap water). Our experiment paid off. 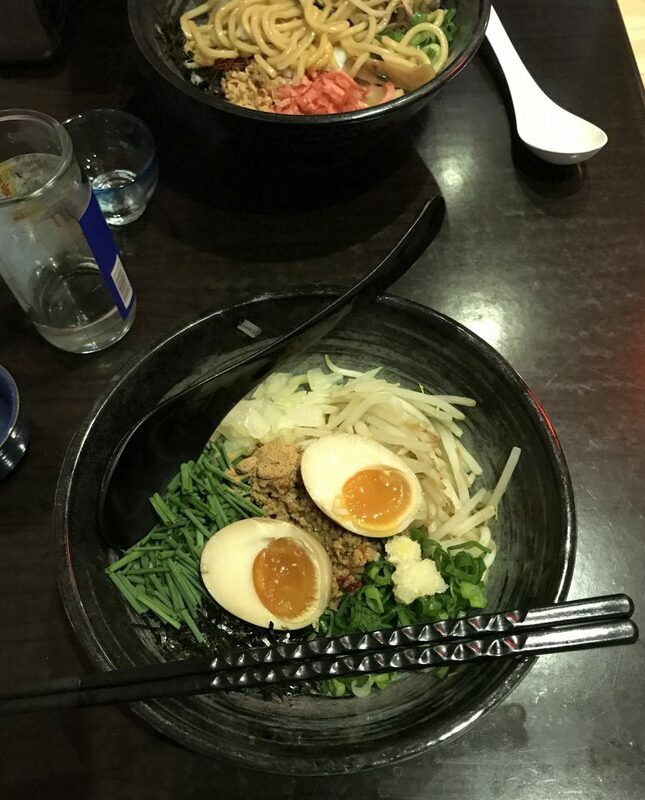 Soup-less ramen might not be monohon, but they are bloody delicious and I’ll definitely be going back for more! After seeing a picture on their Instagram, I already know what I’m going to have! As you can see, we also treated ourselves to a cold sake, but to be honest this wasn’t that special. Overall it came in at £25.50 between us, which is one of the cheapest that we’ve had. Bonus! 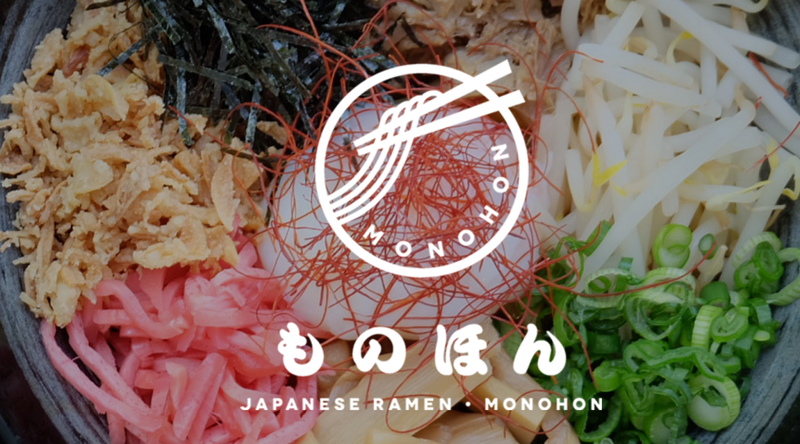 Maybe I was drunk, maybe I’m getting soft, but I’m awarding Monohon my second RAMEN (5 out of 5) of the series!